MIAMI BEACH, Fla., Feb. 7, 2012 -- All Things Equal heads to the New York Toy Fair next week to introduce a new board game and puzzle collection based on AwkwardFamilyPhotos.com, one of the world's most popular comedy websites with 20 million visitors monthly and two New York Times bestselling books. All Things Equal also celebrates the 15-year anniversary of their flagship game, Loaded Questions®. "We're excited to build on the success of our Loaded Questions games with a brand that has worldwide appeal and brand recognition," says Eric Poses, President of All Things Equal. 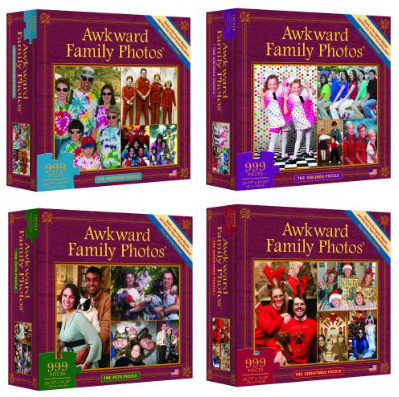 "The Awkward Family Photos® game and puzzles continue the hilarity people experience from the website."